Breaking down what you need to do to unlock Artificer in Risk of Rain 2. 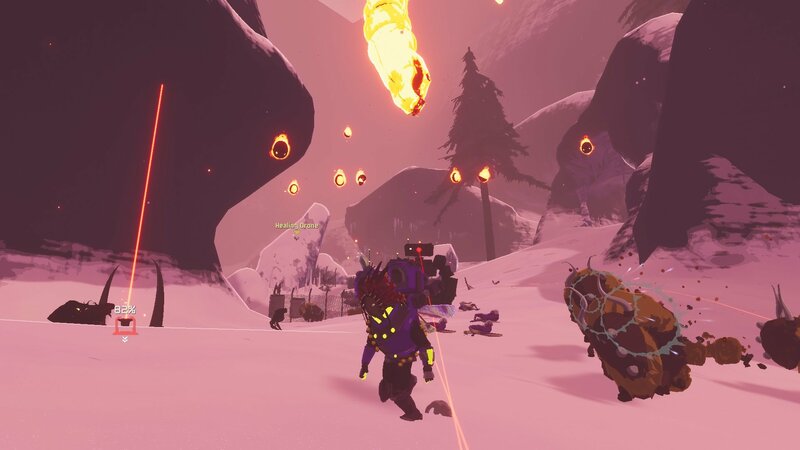 In Risk of Rain 2, players have the ability to get new characters including once called Artificer. Of course, some characters are harder to acquire than others, making it a struggle to unlock all characters in Risk of Rain 2. Because Artificer is such an interesting and useful character to play, it’s well worth setting aside the time to work through the unlock steps. If you’re still struggling to figure out how to get Artificer, we’ve got you covered. Below, we’ve put together a quick guide explaining how to get and unlock Artificer in Risk of Rain 2! You'll need to collect 10 Lunar Coins and visit the Bazaar Between Time to get Artificer in Risk of Rain 2. As with other characters in Risk of Rain 2, you’ll first need to unlock Artificer in order to use them. Along with the vague instructions that task you with freeing a survivor “suspended in time,” few other clues are available when it comes to getting Artificer. Before you can get Artificer, you’ll need to acquire 10 Lunar Coins in Risk of Rain 2. Once you have 10 Lunar Coins in your inventory, visit a Newt Shrine and look for a blue orb. Next, use a teleporter to launch a boss fight. Once you’ve defeated this boss, you’ll be able to move into the Bazaar Between Time. In the Bazaar Between Time, you’ll find a mysterious crystal where you can spend your 10 Lunar Coins to free the survivor. In doing so, you’ll get and unlock Artificer and will be able to use this character as you see fit in Risk of Rain 2. The process of getting Artificer may be relatively straightforward, but if you’ve never really explored the Bazaar Between Time or enter the area without having 10 Lunar Coins, you may experience a bit of frustration. Again, you’ll need to have 10 Lunar Coins before you interact with a Newt Shrine. You’ll then need to look for a blue orb prompt and defeat the boss in order to access the Bazaar. Once there, look around for a crystal that you can interact with. Spend 10 Lunar Coins at this crystal, and you’ll get Artificer added to your available characters in Risk of Rain 2!